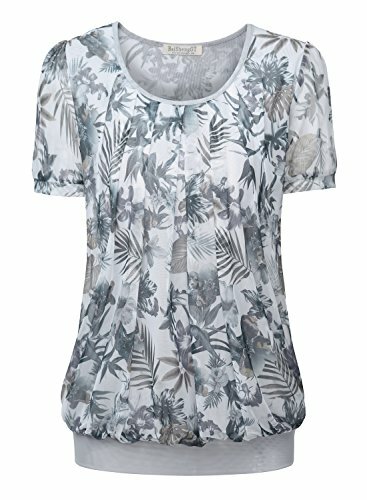 "Brand: SE'MIUMaterial: 50% Polyester, 50% Acrylic3 Colors: White, Black, BlueCollar: Turn Down CollarSleeve: Long SleeveStyle: Button Down ShirtPattern: ForalSeason: Spring, AutumnClosure: Single BreastedDecor: ButtonOccasion: CasualGarment Care: Washing Max Temperature 40°CFloral Print Casual Shirt BlouseSingle breasted closure.Featuring button down front, basic collar, long sleeve.Package Content: 1 x Women ShirtSize: There are 5 sizes (S, M, L, XL, XXL) available for the following listing. 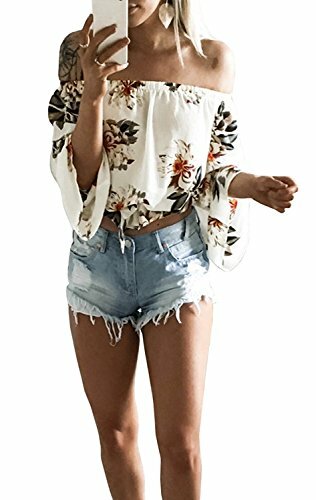 please allow 1-2cm differs due to manual measurement, thanks (All measurement in cm and please note 1cm=0.3937inch)"
Size Guide S: Length 65cm/25.6", Bust 95cm/37.4", Shoulder Width 36cm/14.1", Sleeve Length 20.5cm/8.0" M: Length 66cm/26.0", Bust 100cm/39.3", Shoulder Width 38cm/15.0", Sleeve Length 21.0cm/8.2" L: Length 67cm/26.4", Bust 106cm/41.7", Shoulder Width 40cm/15.7", Sleeve Length 21.5cm/8.4" XL:Length 68cm/26.7", Bust 114cm/44.8", Shoulder Width 42cm/16.5", Sleeve Length 22.0cm/8.6" Please allow 1-2cm differs due to manual measurement. 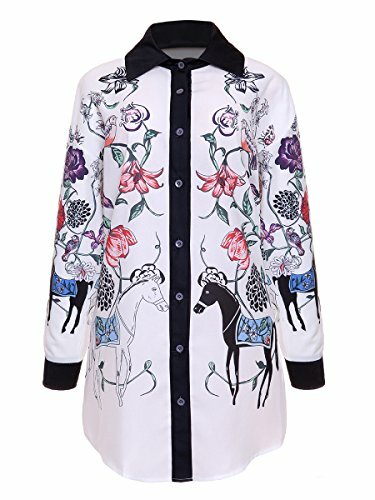 Womens Turn-down Collar Long Sleeve Flower Horse Floral Print Pattern Button Down Shirt Dress Tunic Blouse Tops [Size Information] Style #1: Bust: S 84cm/33.07inch, M 89cm/35.03inch, L 94cm/37.00inch, XL 99cm/38.97inch Waist: S 68cm/ 26.77inch, M 73cm/ 28.74inch, L 78cm/ 30.70inch, XL 83cm/ 32.67inch Hip: S 88cm/ 34.64inch, M 93cm/ 36.61inch, L 98cm/ 38.58inch, XL 103cm/ 40.55inch Shoulder: S 34cm/ 13.38inch, M 35cm/ 13.77inch, L 36cm/ 14.17inch, XL 37cm/ 14.56 inch Length: S 90cm/ 35.43inch, M 91cm/ 35.82inch, L 92cm/ 36.22inch, XL 93cm/ 36.61 inch Sleeve: S 56cm/ 22.04inch, M 57cm/ 22.44inch, L 58cm/ 22.83inch, XL 59cm/ 23.22 inch Remarks: 1INCH=2.54CM, 1CM=0.39INCH Please Note: 1.Measurements by hand, please allow 1-3cm error. Size chart is for reference only, there may be a little difference with what you get. 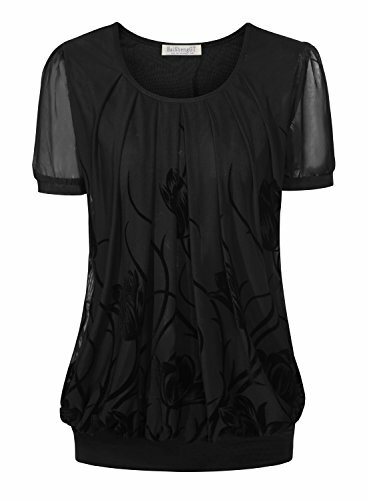 2.Color may be lighter or darker due to the different PC display. [ Returns] 1. It will be kind of you to leave us a objective feedback, which will be the best stimulation for our work. 2. 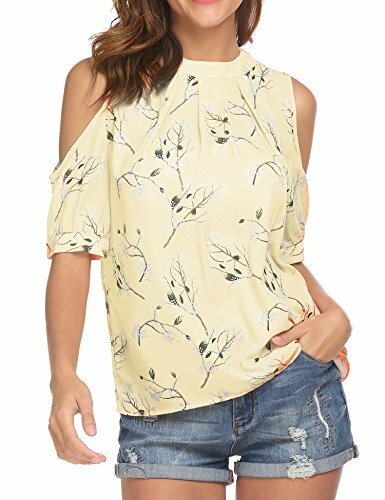 If you are not fully satisfied with your purchase, you are welcome to return any unworn and unwashed items with tags intact and original packaging included. 3. Please note that we offer size exchange for free if the item does not fit you. Attention As different computers display colors differently,the color of the actual item may slightly defference from the above images,thanks for your understanding! 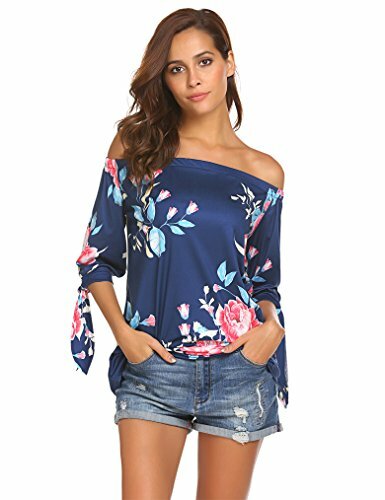 About Us We are professional seller,provide faster shipping and more professional service, so that you have a better shopping experience. If you have any questions, please contact us immediately and we will try our best to make you satisfied.Have a nice time on shopping! 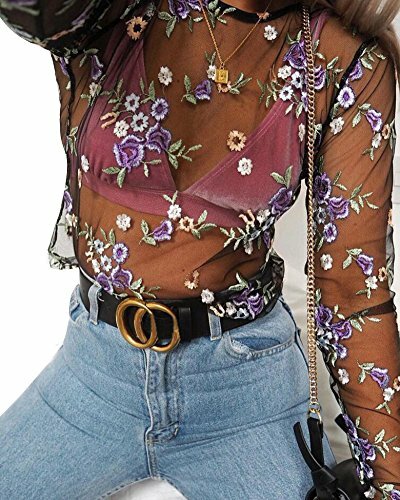 Looking for more Button Cuff Floral Blouse similar ideas? Try to explore these searches: Double Daffodil Bulbs, Mount Shower Enclosure Set, and Outdoor Furniture Buffet. 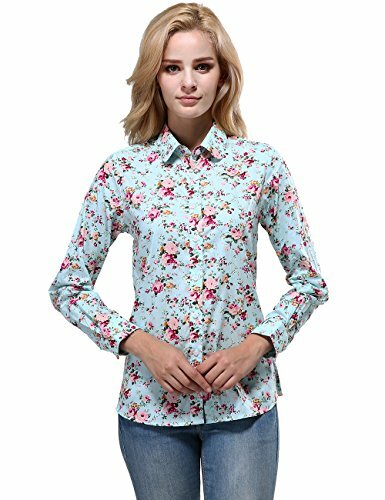 Look at latest related video about Button Cuff Floral Blouse. Shopwizion.com is the smartest way for online shopping: compare prices of leading online shops for best deals around the web. 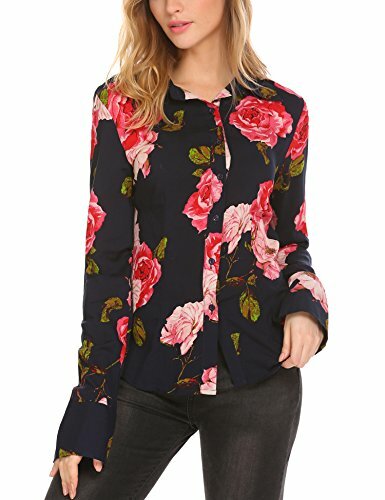 Don't miss TOP Button Cuff Floral Blouse deals, updated daily.